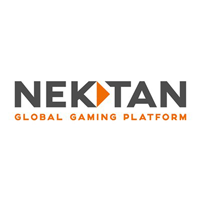 Shares of Nektan PLC with ticker code: LON:NKTN has gained 3.57% or 0.5 points throughout today’s trading session so far. Market buyers seem confident throughout the session. The periods high has reached 16.5 dropping as low as 14.5. Volume total for shares traded at this point reached 13,156 while the average shares exchanged is 25,214. A 52 week share price high is 34 about 20 points difference from the previous close and the 52 week low at 13 making a difference of 1 points. Nektan PLC now has a 20 simple moving average of 15.53 and also a 50 day moving average at 18.38. This puts the market cap at £6.87m at the time of this report. All share prices mentioned for this stock are traded in GBX. Mcap is measured in GBP. This article was written with the last trade for Nektan PLC being recorded at Monday, January 7, 2019 at 8:11:06 AM GMT with the stock price trading at 14.5 GBX. The share price for Whitbread plc company symbol: LON:WTB has increased 1.69% or 79 points during today’s session so far. Investors have stayed positive during this period. The periods high has reached 4765 dipping to 4680. Volume total for shares traded at this point reached 112,435 whilst the daily average number of shares exchanged is just 615,931. The 52 week high for the share price is 4800 about 120 points difference from the previous days close and putting the 52 week low at 3606 is a variance of 1074 points. Whitbread plc has a 20 day moving average of 4553.24 and also a 50 day moving average at 4600.06. Market capitalisation is now £8,739.35m at the time of this report. The currency for this stock is Great British pence.Market cap is measured in GBP. 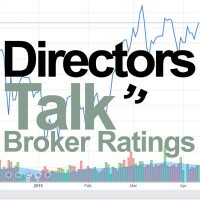 This article was written with the last trade for Whitbread plc being recorded at Monday, January 7, 2019 at 12:06:34 PM GMT with the stock price trading at 4759 GBX. The stock price for Ashtead Group plc found using EPIC: LON:AHT has climbed 1.44% or 24.5 points in today’s trading session so far. Traders have so far held a positive outlook while the stock has been in play. The periods high figure was 1747.5 and a low of 1716. The volume total for shares traded up to this point was 610,595 with the daily average number around 2,634,411. A 52 week high for the stock is 2461 which is 759 points in difference on the previous days close and a 52 week low being 1572.5 is a variance of 129.5 points. Ashtead Group plc has a 20 SMA of 1687.56 and the 50 day moving average of 1801.18. Market capitalisation is now £8,254.33m at the time of this report. The share price is in GBX. Mcap is measured in GBP. This article was written with the last trade for Ashtead Group plc being recorded at Monday, January 7, 2019 at 12:06:29 PM GMT with the stock price trading at 1726.5 GBX. 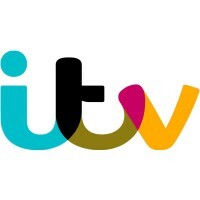 Stock in International Consolidated Airlns Grp SA ticker code: LON:IAG has gained 1.25% or 7.4 points during today’s session so far. Traders seem confident during this period. The high for the period has peaked at 603.6 dropping as low as 592.8. Volume total for shares traded during this period was 1,147,907 while the average shares exchanged is 6,548,455. The 52 week high for the share price is 727 around 135.2 points in difference to the previous days close of business and a 52 week low sitting at 547 a difference of some 44.8 points. International Consolidated Airlns Grp SA has a 20 SMA of 614.86 and now its 50 day moving average of 629.05. The market capitalisation is now £11,884.00m at the time of this report. All share prices mentioned for this stock are traded in GBX. Mcap is measured in GBP. This article was written with the last trade for International Consolidated Airlns Grp SA being recorded at Monday, January 7, 2019 at 12:06:28 PM GMT with the stock price trading at 599.2 GBX. Shares of J Sainsbury plc with company EPIC: LON:SBRY has increased 2.58% or 6.7 points during today’s session so far. Investors have stayed positive during the session. Range high for the period has seen 268 meanwhile the session low reached 260.8. Volume total for shares traded during this period was 1,646,946 with the average number of shares traded daily being 9,320,574. The 52 week high price for the shares is 341.8 equating to 81.8 points in difference on the previous days close and a 52 week low being 224.7 making a difference of 35.3 points. J Sainsbury plc has a 20 SMA of 274.75 and also a 50 day MA at 300.54. This puts the market capitalisation now at £5,874.09m at the time of this report. The stock is traded in GBX. Mcap is measured in GBP. This article was written with the last trade for J Sainsbury plc being recorded at Monday, January 7, 2019 at 12:04:05 PM GMT with the stock price trading at 266.7 GBX. Stock in Lloyds Banking Group PLC with ticker code: LON:LLOY has stepped up 1.16% or 0.61 points throughout today’s trading session so far. Traders have remained optimistic throughout the session. The period high has peaked at 53.65 and a low of 53.09. The volume total for shares traded up to this point was 68,227,618 with the daily average number around 205,011,678. The 52 week high for the shares is 72.77 which comes in at 19.97 points difference from the previous days close and the 52 week low at 49.52 is a variance of 3.27 points. Lloyds Banking Group PLC now has a 20 SMA of 52.42 and a 50 day moving average at 55.86. The current market cap is £38,008.47m at the time of this report. All share prices mentioned for this stock are traded in GBX. Mcap is measured in GBP. This article was written with the last trade for Lloyds Banking Group PLC being recorded at Monday, January 7, 2019 at 12:06:42 PM GMT with the stock price trading at 53.41 GBX. Click AHT IAG LLOY NKTN SBRY WTB for the full archive.